From cool and tasteful to wacky and downright weird, effective product packaging can enable a product to be seen in an entirely new light. Here are ten of my absolute favourites. From spaghetti to headphones, this list covers all and any types of product you can imagine. 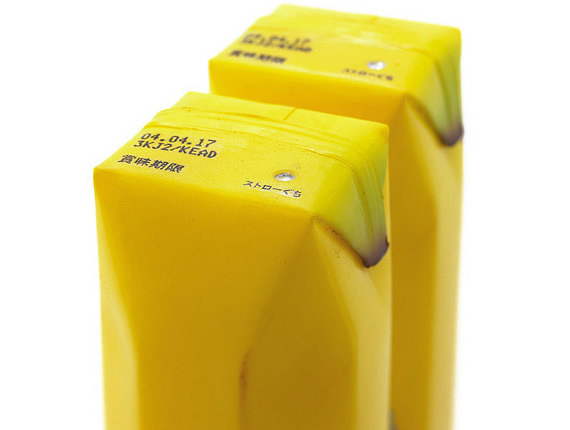 Created by Japanese designer Naoto Fukasawa, these fruit juice cartons excellently imitate the look of an array of fruit skins. They seem to even take on the physical feel of the fruit skin, which is particularly clear with the strawberry edition in the range. These cartons authentically re-create the skin of bananas, strwberries, kiwis and also have a slightly stranger tofu edition. 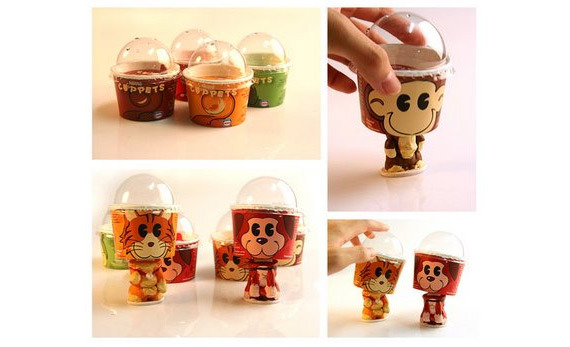 These ice cream bobble heads make great use of designing the packaging to be used as a toy afterwards. To be honest, they owe this to the children they're aiming their product at through not having a chocolate edition in the range, but for some reason they do have mint?! And if you're willing to have a collection of ever so slightly mouldy ice cream bobble heads hanging round the place you can enjoy the satisfaction of knowing that that's one less piece of packaging thrown in the bin. This amazing spaghetti packaging by Alex Creamer may be bordering on genius in its simplicity. 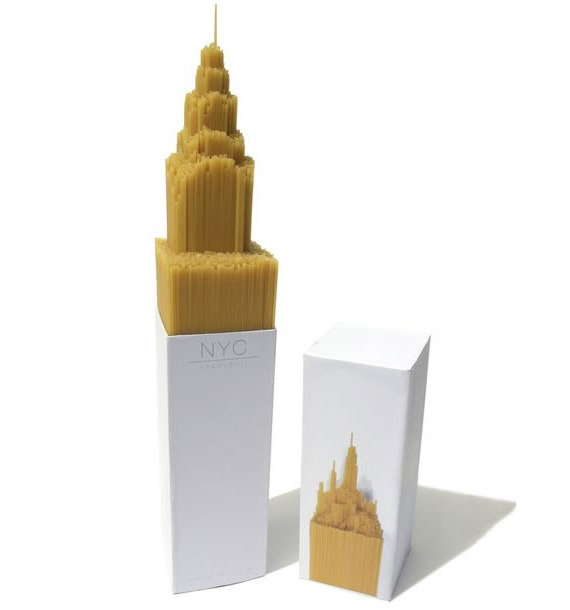 On a first glance you'd be forgiven for thinking that the spaghetti had been painstakingly sculpted into the shape of the iconic chrysler building. But a model of the top of the building sits at the base of the packaging enabling the spaghetti to simply be thrown into the packaging and hey presto, instant spagehtti sculpture. 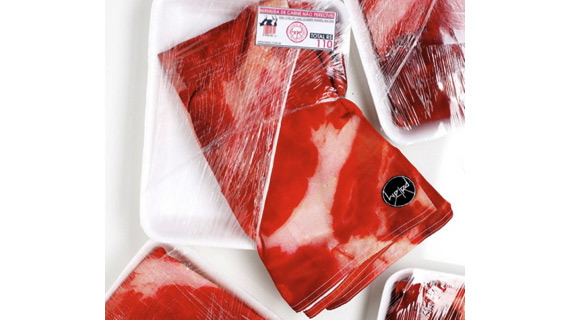 Nothing quite brings your attention to a single item of clothing in a store than being packaged to look like a piece of butchered meat ready to be cooked. Produced by the aptly named 'Weird Clothing Company', these shorts are definitely a stand out item. Here's a piece that shows there can be something really nice about a big old box of stuff. It gives it almost a tresurechest feel, especially when all the pieces inside are also beautifully designed. This blue tinted perspex box is a great example of a simple design done well. These headphones created by shows how much you can get out of a simply idea. Using the headphones as eyes to create a face has allowed to to create an abundance of characters. There's also somethingÂ fantasticÂ in its simplicity about turning a headphone sideways to create a winking eye. I'm not entirely sure if this design has fully taken off yet (would have been a better pun if penguins actually flew) or if it's still in it's proposed design stage but I sincerely hope these do get mass-produced if they haven't yet been. 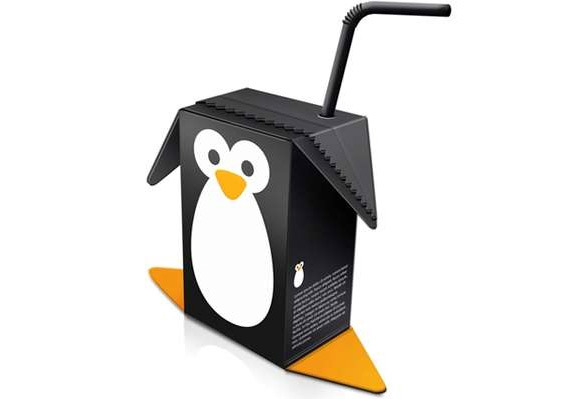 In case you were wondering, I don't think these cartons operate along the along the same lines as the fruit cartons earlier, by which this would be a penguin flavoured drink. I'm going to assume that the different colours the penguins come in represent the usual fruit flavours you would expect. OK, so the Headphone faces earlier were good but they're probably not much good aimed at adults. 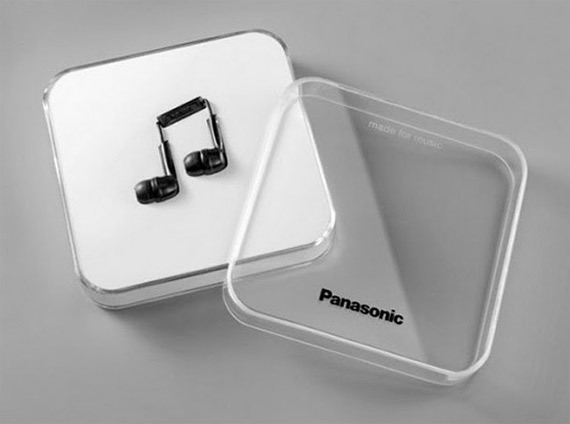 Here's Panasonic showing how a similar approach of creating imagery from the headphones can be done in a minimalist, cool and tasteful way for the older side of the market. 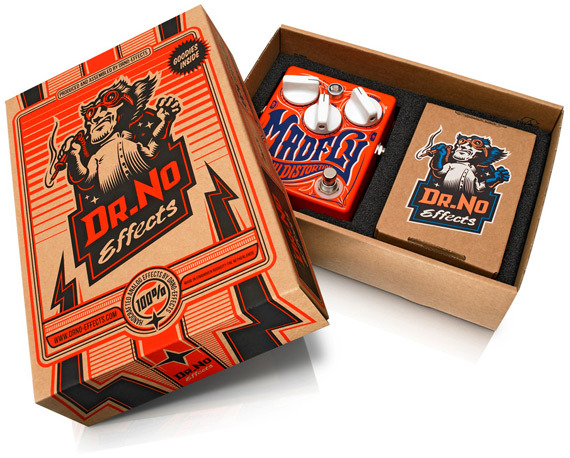 As a guitar player myself for as long as I can remember I have purchased quite a collection of guitar effects pedals over the years. Whilst it could be argued that the more boutique end of the market does tend to offer finely decorated pedals, this is first time I've seen the packaging really stand out. 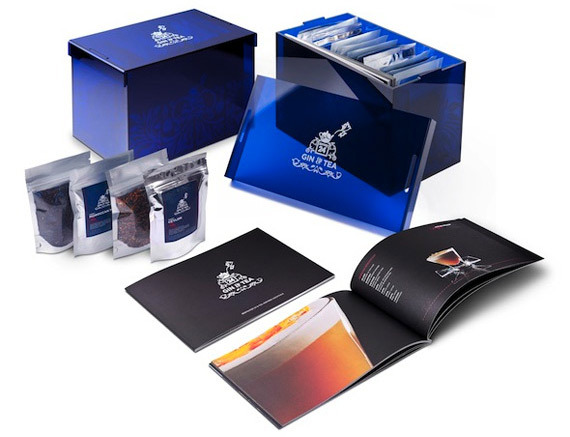 Great product packaging is meant to be the perfect compliment to the actual product. But what if the packaging in fact is the product? 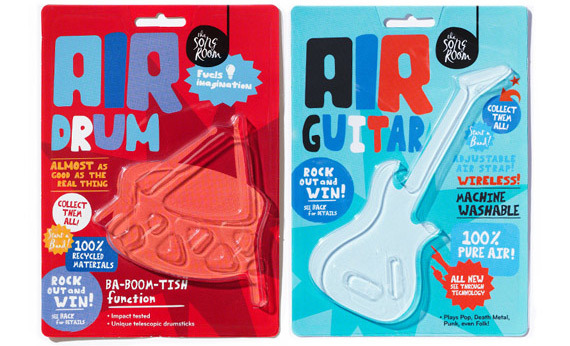 This is case with these great air instruments by Designworks. Know a fantastic piece of packaging design? Put it in the comments box below.